In its basic sense, life insurance is a contract between an insurance company and an insured person that is designed to provide money if the insured person passes away. Individual life insurance policies are meant to protect the life of a specific individual. There are three entities involved in an individual life insurance policy – the owner, the insured, and the beneficiary. The owner of an individual life insurance policy is the one who has the rights that are stipulated in the contract. Oftentimes, the owner of an individual life insurance policy is also the insured, but this is not always the case. The insured is the person whose death causes the insurance company to pay the death benefit or face amount of the policy. These proceeds are paid to the beneficiary. There can be more than one beneficiary. Although there are some instances where life insurance benefits are taxable, in most cases, the benefit amount received by your beneficiaries from a life insurance policy is considered to be income tax-free. 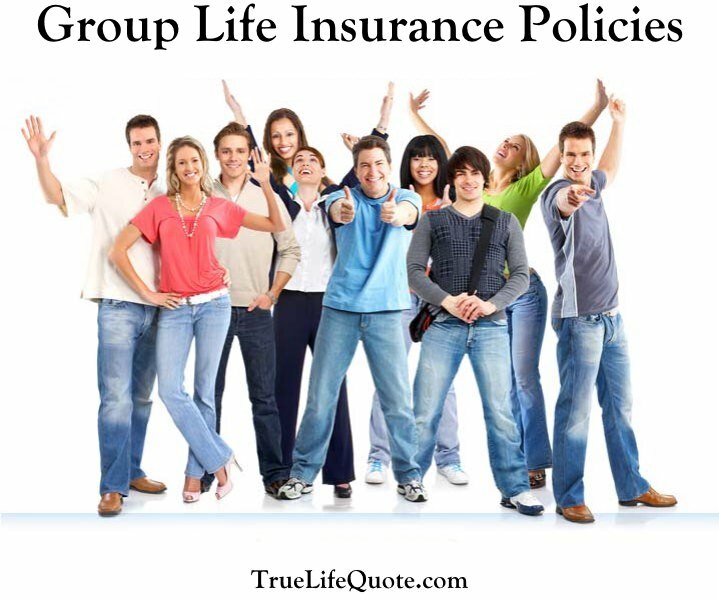 Group life insurance is a type of life insurance in which a single contract covers an entire group of people. This coverage will provide a benefit to the policy beneficiaries if the covered individual dies during the defined period of coverage. This can help to ensure that the insured's loved ones have enough to pay for final expenses, unexpected medical bills, or other bills – even those for necessities like food and utilities – if the primary income earner passes away. Typically, the owner of the policy is an employer or an entity such as a labor organization. The policy covers the employees or the members of the group. The employer has the right to change or to cancel the coverage at any time. Group life insurance differs from individual life insurance in that it covers an evolving group of individuals. As employees or members of the group change, the demographics of the group may also change, but the rate and benefits remain the same. Group life insurance is often provided as part of a complete employee benefits package. In many cases, the cost of group coverage is less than what the individual employees or group members would pay for a similar individual life insurance policy with the same amount of coverage. When a group benefits plan is initiated, enrollment forms are used to collect information, benefit elections, and beneficiary information from the employees. Once the employees have enrolled, benefit summaries are issued to show the highlights of the benefit plan. These summaries help to simplify the explanation of the benefits that insureds are entitled to. Insurance companies create benefit summaries for all coverages. And, benefit summaries are used in employee enrollment meetings and benefit fairs. Since most insurance coverage entails lengthy documentation, benefit summaries can make it easier to read about coverage because they simplify the communication process. Group life insurance policies can be paid for by the employer, the employees, or a combination of the two. If the company or employer is paying for the benefit, it is called an employer-paid plan. If the employees are paying for the benefit, it is called a voluntary plan. The employer or entity organization keeps the actual insurance policy, which is known as the master contract. Normally, all of those individuals who are covered will receive a certificate of insurance that is provided by the employer or organization. This certificate serves as proof of insurance. However, it is not the actual insurance policy. When group term life insurance is provided through an employer, the employer may pay most, and in some cases all, of the premiums. The amount of coverage is typically equal to one or two times an employee’s annual salary. Group term life insurance remains in force until a person's employment is terminated, or until the specific term of coverage ends. At that time, the insured would have the option to convert the group life insurance policy to an individual life insurance policy. However, the individual premiums tend to be much higher than the group premiums for the same policy. One of the attractions to employers and groups of group term life insurance is its affordability. Because the life insurance policy covers a broad group of people, it is relatively inexpensive for each individual person. This is because the risks are spread out among a larger group of people. Therefore, the insurance company can afford to charge a lower premium than it would for many other types of life insurance policies. A second feature that makes group policies very affordable is that they typically have no medical exam. This means they are a good option for individuals who would normally be classified as a high risk policy, because they can get much more affordable coverage by being considered part of a a group. Group term life insurance, like any other term life insurance policy, must be renewed every so often, or it will expire. At that time, a premium adjustment may be required by the insurance company. In most cases, the employer or group administration – typically the human resources department – will take care of this without individual employees or group members being involved. However, if the participant contributes to a portion of the premium, he or she will be notified and given the option of whether or not to renew the policy. Group term life insurance is a foundation of insurance protection for employees and their families. It provides protection for a specific period of time and pays a benefit if the insured passes away during the term of protection. This base level of protection can be enhanced by the person's personal savings, individual life insurance proceeds, and / or Social Security death benefits. The death benefit from group life insurance is paid income tax-free to the insured's beneficiary. This can provide loved ones with an emergency fund, allowing them to use individual life insurance and other funds for longer-term needs. Often, especially when the primary income earner in a family dies, their loved ones must drastically change their lifestyles due to this loss of family income. Life insurance can help prevent family from having to endure the loss of a loved one and the hardship of being unable to pay rent or a mortgage, utilities, and other necessities. Without life insurance, loved ones are often forced to sell their home or make other drastic lifestyle changes. The most common form of group life insurance is term insurance. Typically, it is provided in the form of yearly renewable term. Often, the life insurance coverage provided by most group plans is one-year term. The plan comes up for renewal each year, and both the insurance company and the employer or group have the opportunity to consider whether or not to continue it. For the insurance company, this is also a good time to revise the rates. The primary feature of a life insurance policy is the death benefit it provides. Term life insurance policies provide coverage within the time specified in the contract. After that time period, protection expires, and no death benefit is paid, unless the policy is renewed. Just as with an individual life insurance policy, group life may offer other features, too - often referred to as riders - that may be added on to the policy that provide additional benefits to either the insured or to the named beneficiary on the policy.